Thunder City offered the possibility to fly in supersonic jets – Next to the Russian Zhukovsky Airbase until June 2006 and Sokol Airbase from 2006 the only place in the world to offer tourist flights in supersonic aircraft. In places like Europe or the US it is not possible to experience a supersonic flight, it is allowed only for special purposes like documentary filming, for research etc. Also, Thunder City had probably the most impressive fleet of jet fighters, with Zhukovsky airbase where the MAKS airshow takes place. The fleet is even more impressive when you consider the cost of maintaining these jets. But this was also a reason why Thunder City flights where hard to finance. Thunder City currently owns 3 English Electric Lightning supersonic Jet Fighters which have been in service with the Royal Air Force before. The Lightnings have been used for Edge of Space Flights and reached altitudes more than 15km with tourists. 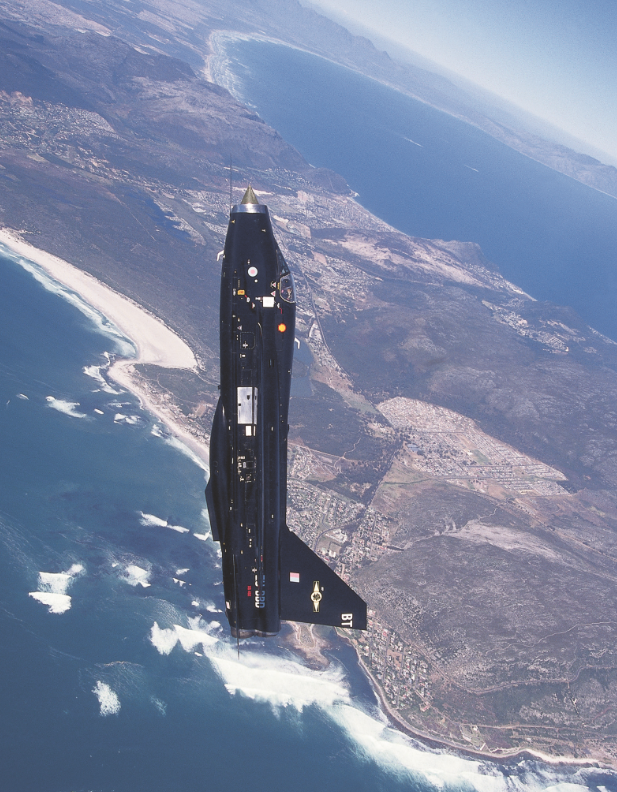 Until November 14th Thunder City had 4 English Elctric Lightnings, that day one of the two T5 two-seaters was lost in a deadly Airshow accident at Overberg Airshow. Thunder City was the only operator of the English Electric Lightning, one of the first supersonic aircraft, reaching Top Speeds of Mach 2 and Mach 1.6 with tourist flights. Also, Thunder City owns three Blackburn Buccaneers, also the only airworthy examples worldwide. The Buccaneer is a giant, a low-level strike fighter with nuclear weapon capability. The South African Air Force operated 16 Buccaneers. The Apartheid-Regime had nuclear weapons, even did a nuclear test. The third large military fighter aircraft owned by Thunder City is the Hawker Hunter, of which it operated seven. The Hawker Hunter Flight was the cheapest among the Thunder City aircraft. It is still available for flights today in the Swiss Alps. Why did Jet Fighter Operations at Thunder City stop? One of the main reasons the flight operations stopped was the Airshow crash that left only one two-seater Lightning left. Of course that Lightning crash hit the reputation very badly, and the death of Dave Stock was a shock not only to Thunder City. But Thunder City continued to offer passenger flights until September 2010. The bad economy led Thunder City customer numbers sink by around 50%, which made it even harder to finance the very costly maintenance and flight operations. Also, the South African Civil Aviation Authority suspended the operation certificate. Thunder City now wants to sell all its aircraft, in August 2011 they have been available for sale. A potential buyer of such aircraft must not only have huge financial power, but also the knowledge to operate this high-performance aircraft. It can be assumed that they will end as displays. This is really sad, it leaves the MiG-29 Flight on Sokol airbase in Russia as the last and only possibility to fly in a supersonic aircraft. What is Edge of Space?